When Cheryl from Minnesota visited the Clay County Fair in 2005, she was not looking for a business opportunity. But when she had her first experience with Rada Cutlery, that’s exactly what she found. Cheryl purchased six tomato slicers, one of Rada’s most popular items. But the prices were so reasonable that Cheryl wondered if they were too good to be true. “You always go to fairs, and they try to sell you all this junk that doesn’t work,” she said. But work they did. Cheryl gave five of the knives to family members, keeping one tomato slicer. 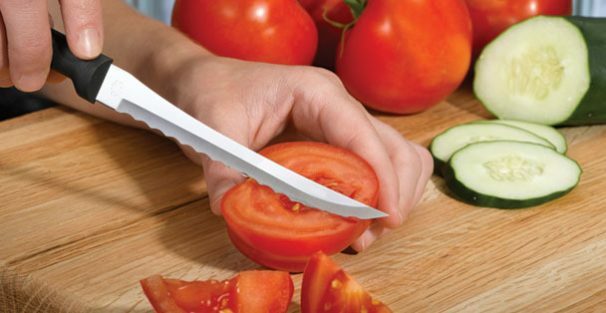 That tomato slicer quickly became her favorite piece of cutlery, and Cheryl found herself frequently opening up the kitchen drawer just to find that one knife. It was two years later that the most important part of Rada Cutlery’s relationship in Cheryl’s life would begin. So Cheryl returned to the Clay County Fair in the fall of 2007 just to find more Rada knives. She quickly found the same seller and bought some more. Cheryl, who owns and operates Down Memory Lane, an antique sales business, suggested to the seller that she come sell Rada Cutlery at an antique show. On the way back to Minnesota, Cheryl had a revelation. “It hit me; I could sell Rada myself at the antique shows.” Upon getting home, she promptly phoned Rada, and, by simply providing credit card and sales tax numbers, Cheryl was in the Rada business. Cheryl has sold Rada Cutlery at antique shows for seven years now, and couldn’t be happier with the decision to do so. In addition to owning a “mom-and-pop” oil business with her husband that has since been sold, Cheryl has sold antiques at antique shows for 27 years. But selling Rada Cutlery has not only boosted Down Memory Lane’s sales, but afforded Cheryl the chance to sell knives and accessories that she is proud to stand behind. The combination of old antiques and new Rada knives has been a prosperous combination for Cheryl and Down Memory Lane. 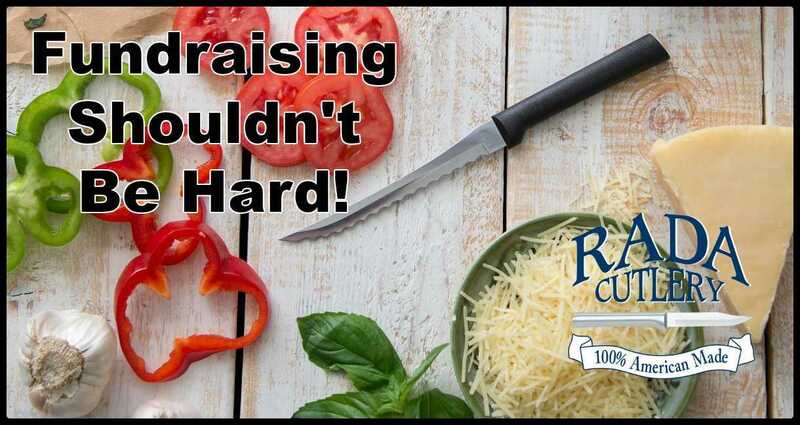 In addition to her antiques, customers now see a wide array of Rada Cutlery, such as the tomato slicer that got Cheryl started, an array of paring knives, steak knife sets, and the ever-popular knife sharpener. Though the antique shows are often huge and present a great deal of competition, Rada helps Down Memory Lane stand out. 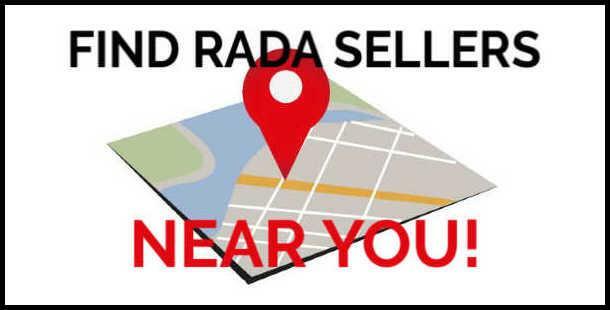 In fact, her Rada products often outsell the antiques, and can be counted on to cover expenses such as space rental, gas, and part-time helpers. It’s not unusual for her booth to attract an eyebrow-raising line. 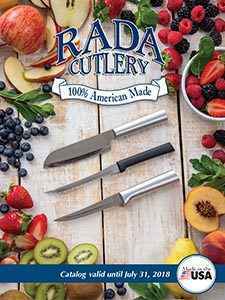 “There have been times at shows where other vendors come to me and say, ‘Wow, you’re busy,’ even if there hasn’t been much activity at other booths,” Cheryl said of Rada Cutlery’s ability to draw customers. Cheryl frequently sells Rada by virtue of the products’ lifetime warranty. “You know how you sometimes read that little fine print that says ‘Limited Warranties’? Those are products you don’t want to buy. But Rada has a lifetime guarantee.” A few years ago, Cheryl got the chance to demonstrate this. As impressed as Cheryl has been with the products, she reports that Rada’s customer service has been second-to-none. Ultimately, it’s not just the profitability of selling Rada Cutlery that makes it worthwhile to Cheryl, but the pride that comes with knowing that she supplies people with a fine product. 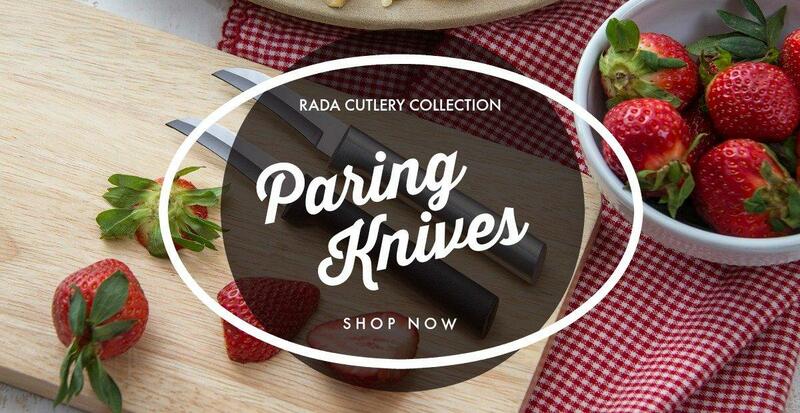 Interested in Selling Rada Cutlery? 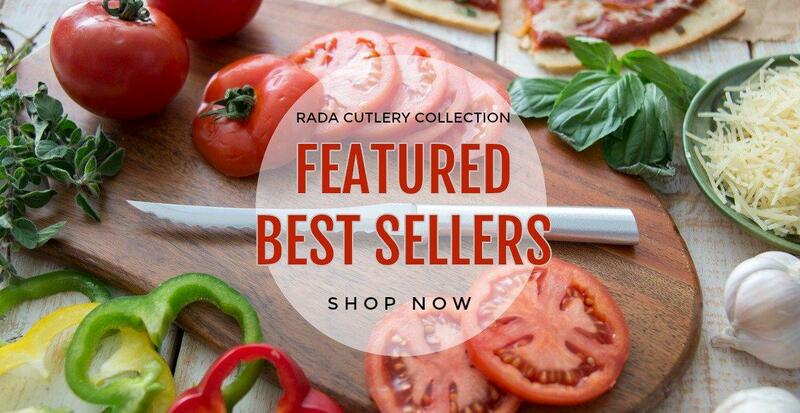 Whether you’re full-time business or just looking for a little extra income, Rada Cutlery the ideal choice. 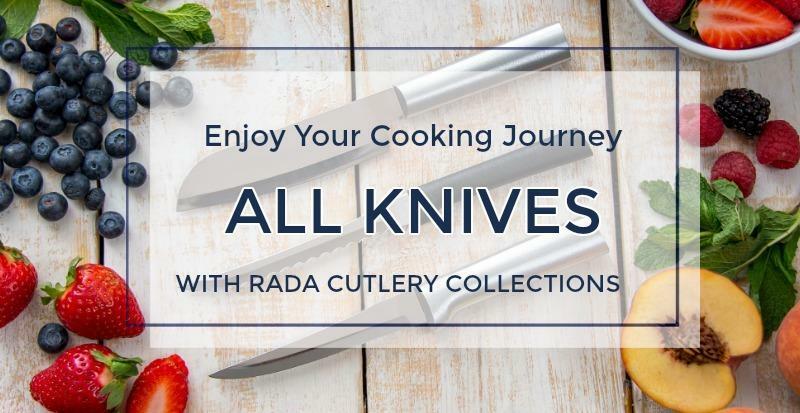 Rada Cutlery is sold in many venues, including antique shows, boat and RV shows, craft shows, fairs, flea markets, gun shows, home parties, retail stores, the web, and more. You are your own boss. There are no long-term commitments, contracts, or terms when selling Rada Cutlery. 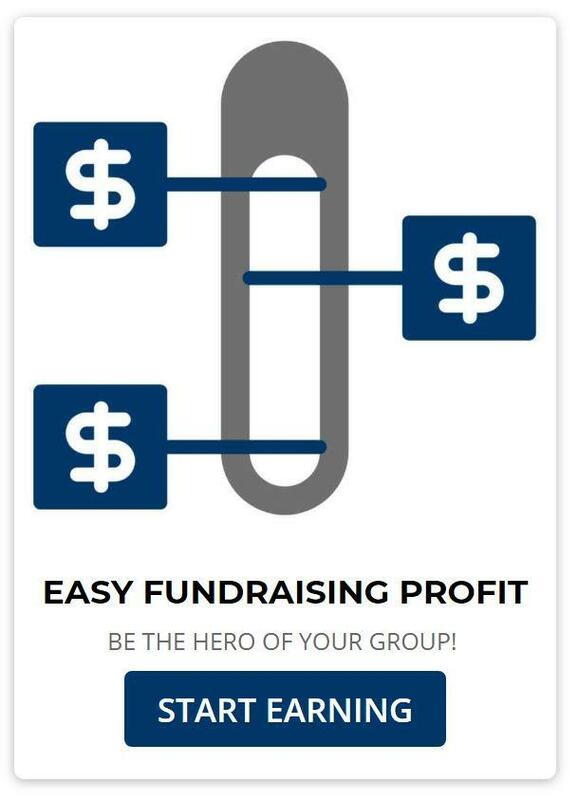 You set your own sale prices. Adjust them as needed to ensure the best customer experience. You only need a sales tax ID number and a minimum order of $75. There is a wide selection of products. 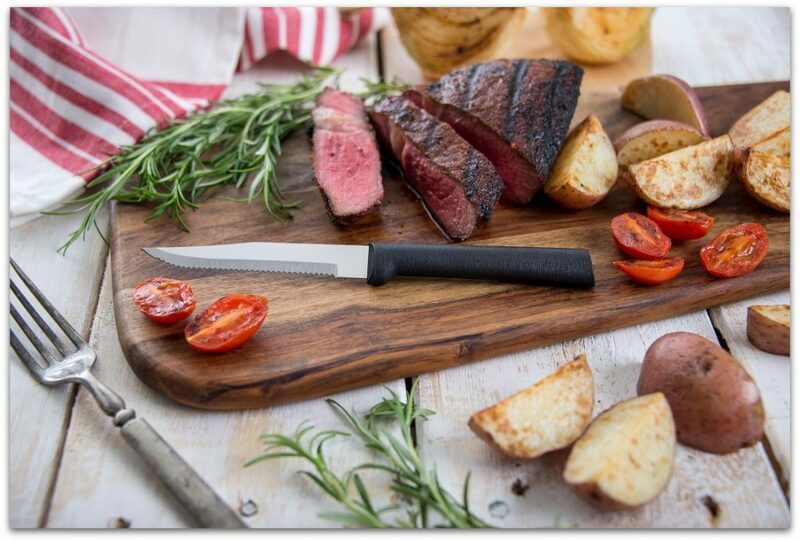 Not only do we offer dozens of knives and utensils, both as individual items and gift sets, but also items like cookbooks, quick mixes, and stoneware. You are selling high-quality, low-cost items. Value and usefulness go hand-in-hand with Rada Cutlery, ensuring that your customers get a great product at a price to match. 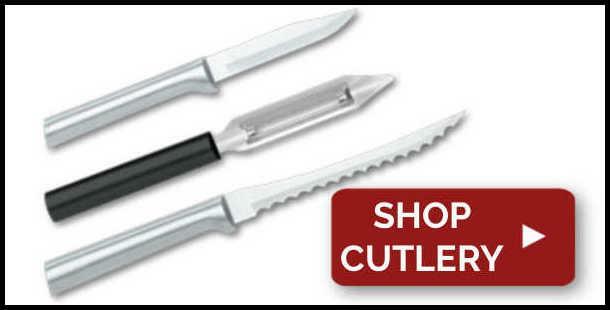 Getting started with Rada Cutlery is quick and easy. Simply go to our Independent Sales page for all the information you’ll need, or call us at 1-800-311-9691. You can also email our customer service department.